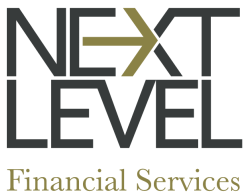 Next Level Financial Services is a boutique full service financial advisory practice based in Melbourne and on the Mornington Peninsula in Victoria. We work with people who are serious about achieving their personal and financial goals. We do this because we are passionate about helping those seeking unbiased, holistic and professional advice. We specialise in personal superannuation, self-managed superannuation, personal insurances, investments, debt management, retirement planning, lifestyle planning, aged care advice and strategies to help you build wealth. Whether you require one-off advice or a comprehensive wealth management strategy, we can help you manage and secure a financial plan that's tailored to your goals. As we also partner with specialists in the accounting, legal, investment research, real estate and property management fields, we can provide a comprehensive solution to all aspects of your financial plan. All discussions with our clients commence with analysis of your personal, lifestyle and financial goals. For a no obligation discussion with one of our financial advisers please contact us on 03 9880 9158 or email invest@nextlevelfinancial.com.au to book an appointment. The app (NLFS News) is a source of information on matters ranging from financial markets, business and the economy to lifestyle issues such as travel, restaurants and technology. To view further information about the mobile app.